Envision a gathering at the center of innovation and science in Southern California. Coming together are leaders and providers in the field of healthcare, inventors, college students, computer scientists and investors. They are there for forty-eight hours of a hackathon. A hackathon used to be seen as a design sprint-like event in which computer programmers and others would collaborate intensively on software projects. Fast forward and hackathons are happening beyond the field of computer science. Healthcare has embraced hacking to stimulate new thinking. This time the hackathon was to hack into problems in the surgical field of healthcare and design solutions and new thinking. My team’s challenge dealt with rehabilitation after a total knee, or hip. The hackathon was facilitated by a team from the Massachusetts Institute for Technology. They would bounce into our area that we had staked out, challenging us, and guiding us to not be trapped into conventional thinking. As we continued to work through the problem developing solutions, a bias erupted between the MIT team and me. Bias is defined as a strong inclination of the mind or preconceived opinion about something or someone. The eruption that occurred was the simple definition of aging and bias of what is old. To my surprise, one of the MIT faculty viewed being over 50 as old. As I sat and listened to brilliant minds thinking about innovation and new solutions, I thought about the influence of bias being subtly submerged into the solution designs. I recently spoke with another individual who shared with me his experience of being within a healthcare setting. What was unusual and caused him to ask questions was normal to me. The MIT faculty person saw old as 50, and I did not. Bias influenced both scenarios. The mind is powerful. It is our greatest asset. It is also our greatest barrier. The lens of which we view challenges, issues and healthcare needs will influence the actions and solutions we develop to meet the rapidly changing environment. Do you ask before problem solving, what are our known biases? By writing them down, it pulls forward potential pitfalls and influencers. As action plans are developed, look for bias influencers. Challenge conventional thinking and look for limitations being built into solutions. Limitations being placed onto solution development many times are biases in camouflage. 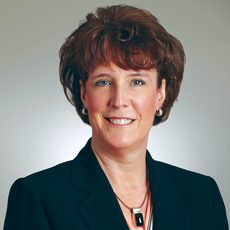 Martie Moore, RN, MAOM, CPHQ, is the chief nursing officer at Medline Industries Inc. and a corporate advisory council member for the National Pressure Ulcer Advisory Panel.